I LOVE to curl my hair. I either curl it using a flat iron, or my curling iron to give it more volume and texture. 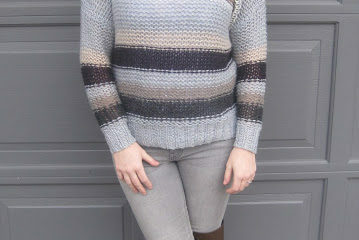 I usually try to go for a more beachy look because I like it to look a little more natural. 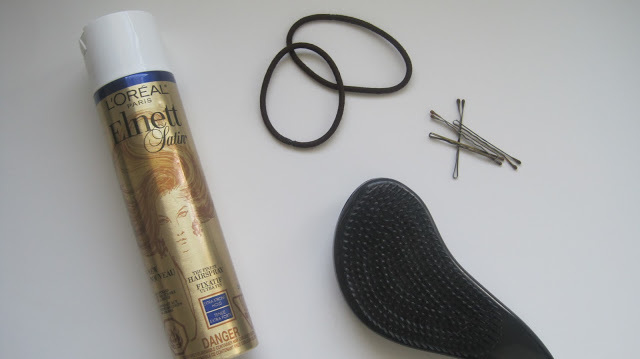 Over the years, I have tried so many different kinds of hair sprays. I was trying to find a product that wouldn’t make my curls drop half way through the day, or make my hair feel rock hard. Finally, my search has come to an end because I am totally in love with L’Oreal Elnett Satin Hairspray. 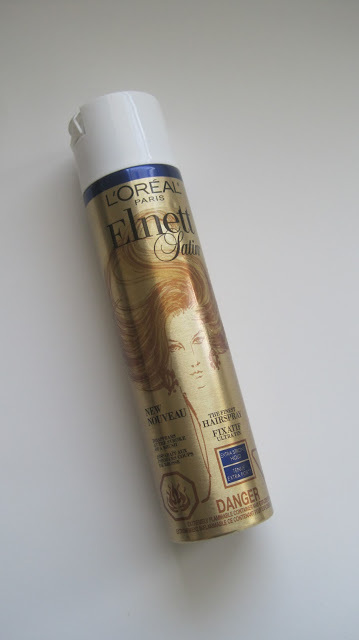 I have been using L’Oreal Elnett Satin Hairspray (Extra Strong Hold) for about 3 months now. What I love most about this product is it doesn’t even feel like I am wearing hairspray- it’s super light weight. It’s the only product that I have tried that holds my curls all day long, and sometimes even the day after. It also doesn’t make my hair feel too heavy or stiff. At times, I want to re-do sections of curls because it brushes out so easily, and I’ll just curl it again or style it another way. I always have 2 sizes on hand. A full size for everyday, and a travel size for when I go away.